“New research gives our delegates the hard data and insights they need to ‘see the future’ and forge business strategies that are expert- and evidence-based. And 2017 Summit attendees will have the first look at the most wide-ranging research releases in our history,” noted Susie Ellis, GWS chairman and CEO. 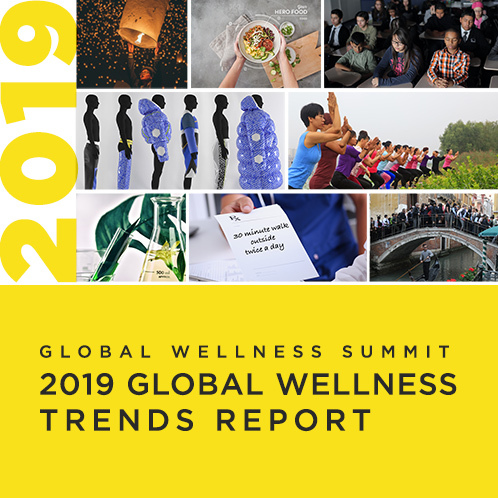 The GWI’s major research project for this year, and the first to comprehensively analyze the $119 billion wellness communities and lifestyle real estate market. The report will define these sectors; identify the demographic and consumer trends driving demand; present case studies, innovative practices and a pipeline of new projects from around the world; and develop a KPI framework to communicate the value to consumers, investors, developers, and policymakers. GDI, Switzerland’s oldest and most influential think-tank on economics, society, and consumption, will release a research-based forecast, mapping the landscape of radically new consumer preferences and mindsets, and technologies and scientific knowledge, which will define “Wellness 2030.” Analyzing the coming explosion of “technologies of transformation,” they will identify the innovations coming in food and nutrition; travel, wellness travel and spas; beauty; work and workplace wellness; and the concept and spaces of our homes. Beauty animates our lives: we make aesthetic decisions constantly, but we know virtually nothing about beauty’s relationship to wellness. This two-part research project will be the first to address this. A first study, using natural language processing, hones in on concepts that can bridge the semantic space between beauty and wellness. A second study analyzes the depth of biases against people with facial disfigurement to help them overcome them and flourish. These studies will provide new evidence-based insights that can mitigate barriers – and build new bridges – between beauty and wellness. New survey findings from Well+Good’s community of 7 million millennials will provide insight into how younger generations are disrupting the wellness travel market. The research will include new data on the very different things millennials want in their wellness getaways compared with boomers: what they seek in fitness, food, and other lifestyle components – so that hospitality brands can take action. The full, 3-day agenda for this year’s Summit is here.